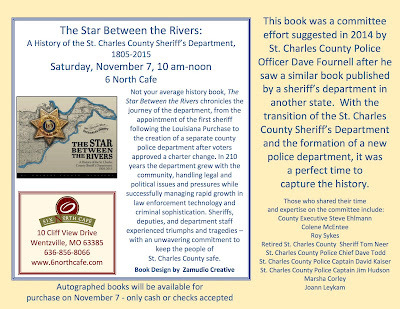 ST. CHARLES COUNTY, MO - Not your average history book, The Star Between the Rivers: A History of the St. Charles County Sheriff’s Department, 1805-2015 chronicles the journey of the department, from the appointment of the first sheriff following the Louisiana Purchase to the creation of a separate county police department after voters approved a charter change, in a coffee-table format with pictures on nearly every page. 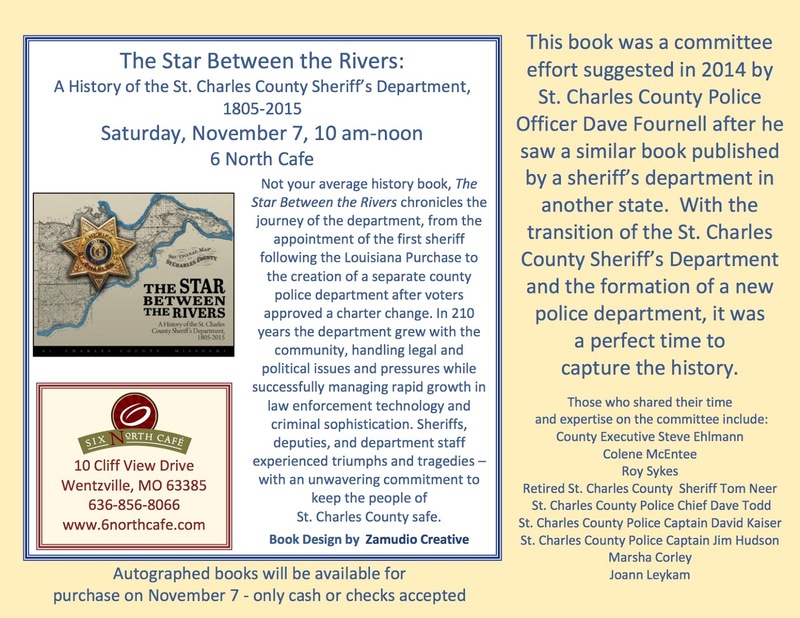 The book was a committee effort suggested in 2014 by St. Charles County Police Officer Dave Fournell after he saw a similar book published by a sheriff’s department in another state. St. Charles County Executive Steve Ehlmann, retired St. Charles County Journal photographer Roy Sykes, retired St. Charles County Sheriff Tom Neer, St. Charles County Police Chief David Todd, St. Charles County Police Captains David Kaiser and Jim Hudson, retired St. Charles County Sheriff’s Department detective Marsha Corley, St. Charles County Director of Administration Joann Leykam, and St. Charles County Public Affairs Coordinator Colene McEntee served on the committee to bring the book to life. The community is invited to a celebration of the book at a public release party on Saturday, Nov. 7, from 10 a.m. until noon at Six North Café, 10 Cliff View Drive, Wentzville, MO 63385. Attendees will be able to meet members of the committee and purchase the book for $20. Only cash or checks (payable to St. Charles County) will be accepted at the event.  _St. Charles County Finance Department 201 N. 2nd St., Suite 541 St. Charles, MO 63301 Available to purchase Monday-Friday 8 a.m. until 5 p.m., excluding holidays.  _St. Charles County Police Department – Records Division Window 101 Sheriff Dierker Court O'Fallon, MO 63366 Available to purchase Monday-Friday 8 a.m. until 5 p.m., excluding holidays.  _St. Charles County Heritage Museum, 1630 Heritage Landing, St. Peters, MO 63303 Available to purchase Wednesday-Saturday 10 a.m. until 5 p.m., and Sunday 12 p.m. until 5 p.m., excluding holidays. For questions, please call the St. Charles County Office of Public Information at 636-949-1864 or email publicinfo@sccmo.org. See you at the Local Author open house Nov. 19!